How to split PDF invoice into single files? If you have a salary invoice in PDF format which contains all salary details of each staff in your company and you want to send the invoice to all staffs to see their own salary details respectively, do you know how to do? Maybe you need to split PDF invoice into single PDF files and then send them to each staff. Please use the product of VeryPDF recommended in this article to help you, which is able to split PDF invoice into single files perfectly. The name of the program is PDF Content Splitter for Mac. You can click here to download the program to your Macintosh and then install it on your computer. To launch the program, please double click the application icon. When you can see the main interface of PDF Content Splitter for Mac, you can add PDF invoice into the file list of the program. 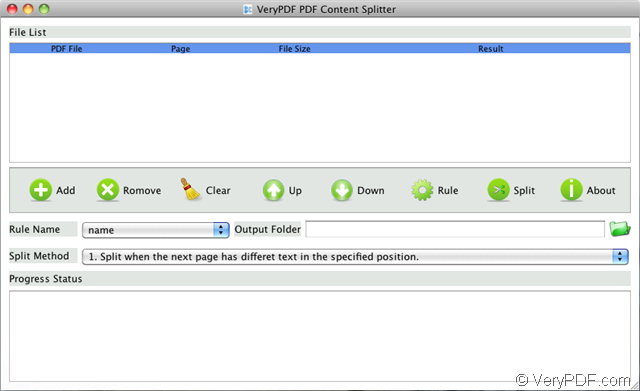 Please see the main interface of PDF Content Splitter for Mac in Figure 1. If you want to split PDF invoice, you need to add the file by clicking Add button or dragging the file you need and drop it into the file list of the program. To delete the file from the file list, you can click Remove or Clear button. When you double click the added file, you can browse it on your system at once. Click the content you want to set as splitting rule at any position of current invoice page and then click the button Make it be the rule appearing beside. 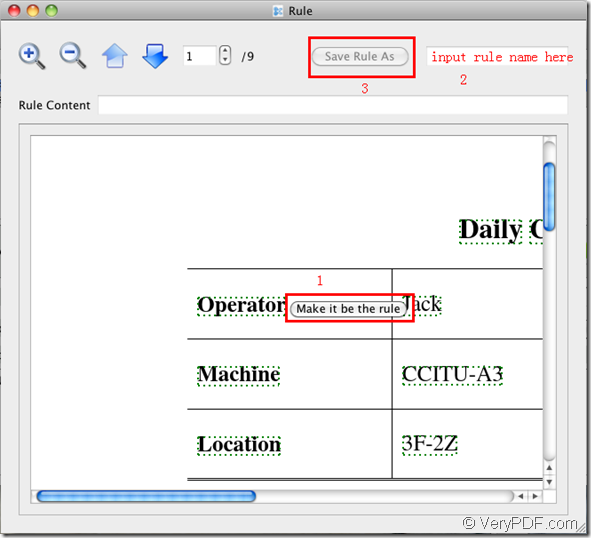 Then input the rule name in the edit box shown in Figure 2. Click the button Save Rule As to save the splitting rule and close the current window. When it returns back to the main interface of PDF Content Splitter for Mac, please choose the split method in Split Method spin box. There are three kinds of split methods for your choice: Split when next page has different text in same position, Split when next page has text in same position, Use method 1 and group split files together. You can choose any method that you want to use according to your needs. 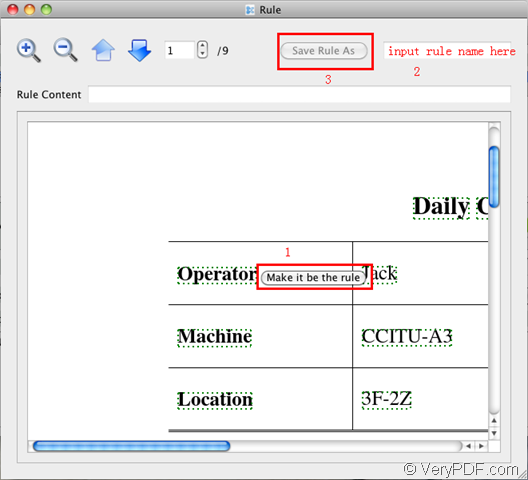 If you don’t understand the splitting rule, please read the user guide of PDF Content Splitter for Mac. At last, you need to set the output location for split files in Output Folder edit box and then click Split button for starting to split PDF invoice. For knowing more information about this powerful program, please enter the homepage of it and you can see all features of PDF Content Splitter for Mac. How to split PDF in batches on Mac OS system? This entry was posted in Software for Mac and tagged Mac OS. Bookmark the permalink.